Yes but that means engagemement ranges won't be the maximum. If you have 2000 manpads, you send at least 1000 of them where you know enemy can hide or use terrain following. The point is that these helos are not fighter planes in movies that go off on their own to hunt down things to shoot at. 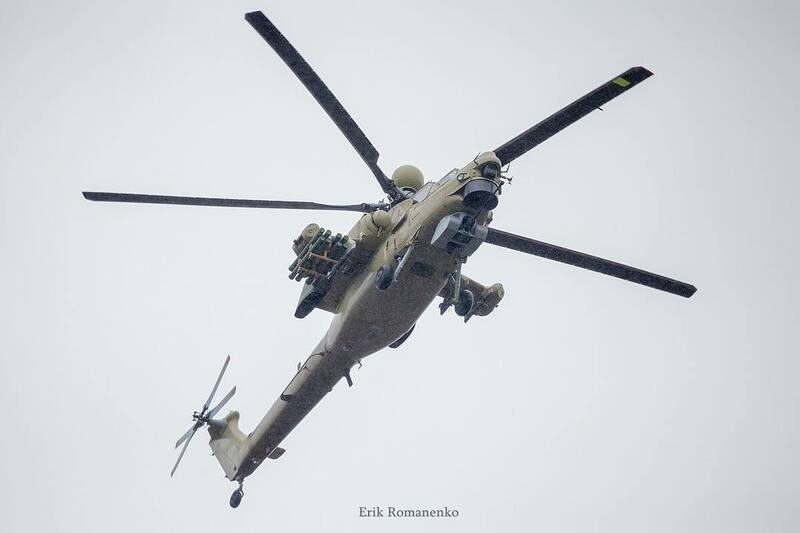 The famous Rostov spotter Erik Romanenko (erik_rostovspotter) published a photo taken on April 17, 2019, that started flight tests in Rostov-on-Don, presumably the first one built on Rostvertol for the Russian Ministry of Defense modernized combat helicopter Mi-28NM installation party. Recall that in December 2017, it was reported that the Ministry of Defense of Russia entered into a state contract with the holding company JSC Russian Helicopters (which includes Rostvertol JSC) for the production of an installation batch of new Mi-28NM helicopters. Under the terms of the contract, the first two cars were to be made before the end of 2018, but apparently, the first side of the installation batch was lifted into the air just now. The prototype OP-1 (tail number "701 yellow") of the upgraded combat helicopter Mi-28NM ("Product 296", OCR "Avangard-3") was built on the "Rostvertol" in 2015. Tests of the OP-1 in the hover mode were started at the Moscow-based Moscow Helicopter Plant Mil ”(MVZ) on July 29, 2016, and full-fledged flight tests - October 12, 2016. In March 2019, the prototype OP-1 Mi-28NM helicopter was tested for combat use in Syria. On March 7, 2019, during a visit to Rostvertol, Deputy Minister of Defense of Russia Alexei Krivoruchko stated that the Russian Defense Ministry intends to conclude a contract for the supply of production Mi-28NM helicopters and that "the volume of the first contract for Mi-28NM - 6 or 18 vehicles is being discussed".